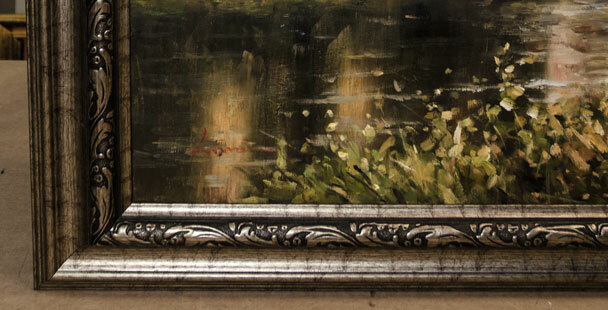 Frame rabbet: 7/8 (in.) deep. Frame width: 1 (in.) 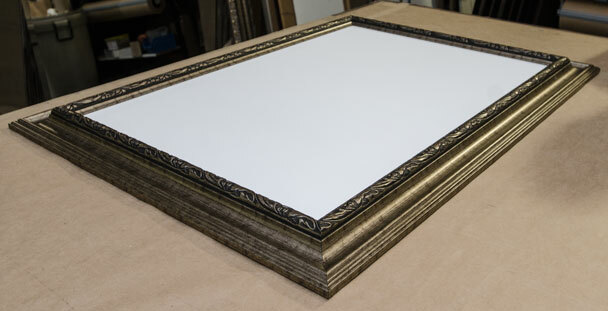 This profile is a moulding designed to hold a stretched canvas (3/4 bars), finish is black with silver accent top.